A variety of intertwined factors have shaped the history of bathing in America: the emergence of germ-theory; cultural notions connecting cleanliness with moral, upright living; concerns about personal attractiveness; and technological progress in plumbing and water supply. 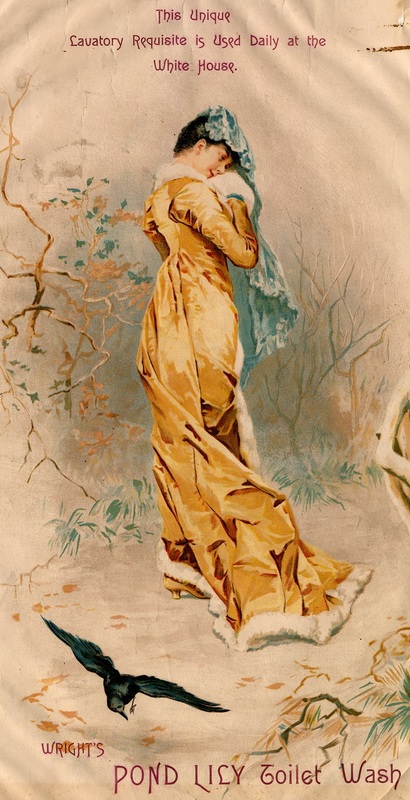 Before the mid-nineteenth century, Americans seldom bathed for personal cleanliness. Many considered bathing to be unhealthy, believing it removed a “protective” layer of oil and dirt and exposed the body to unclean water and dangerous “miasmas,” or diseased air. Although great effort went into washing clothes, Americans associated the bathing of the body with negative stereotypes of European excess, luxury, and moral and physical softness. After the Civil War, attitudes toward hygiene and bathing began to change. As an understanding of germ theory—the idea that microbes cause illness—came to be increasingly widespread, Americans began to place a greater emphasis on the role of sanitation in preventing disease and infection. By the 1880s, growing numbers of doctors promoted personal cleanliness as one of the most important factors in stopping disease. However, limited access to clean water still hindered the widespread adoption of bathing. This all changed during the mid- to late nineteenth century as improvements in plumbing technology enabled many cities to provide clean water and hygienic sewer systems to residents. In response to this change, many upper- and middle-class Americans installed bathtubs with running water in their homes. Working-class Americans living in tenements did not have the same access to running water. Civic and governmental organizations pushed for access to plumbing and bathing for the poorer classes. 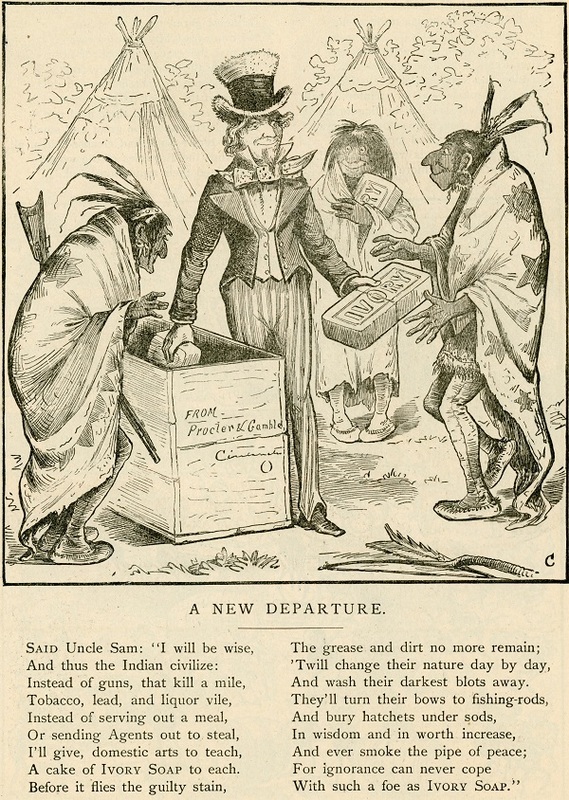 In “A Nation that Bathes Together,” Andrea Renner notes that these organizations equated unassimilated immigrants and poverty with a lack of hygiene. For many reformers, “poor working-class hygiene was viewed as a sign of moral failure as well as a threat to public health.” To address this problem, New York City built free public bath houses to encourage bathing. In 1891, New Yorkers were each given a free cake of Colgate soap as they waited their turn to try out the city’s first public bath. Good personal hygiene now became synonymous with being a good American. 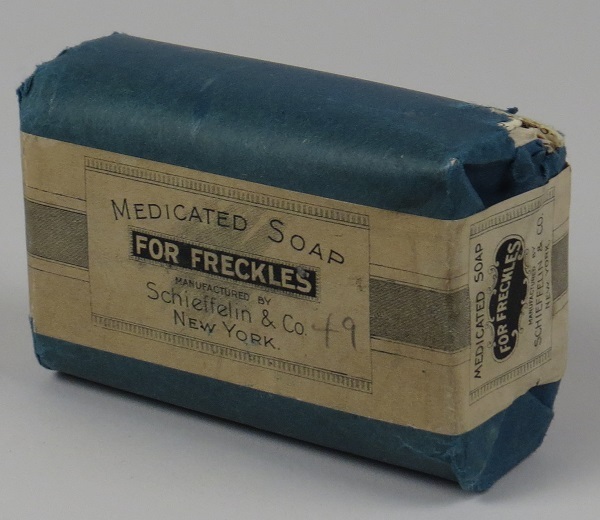 By 1890, soap manufacturers, such as Colgate, Proctor and Gamble, Palmolive, Mennen Company, Bristol-Meyers, and Johnson & Johnson, had proliferated. 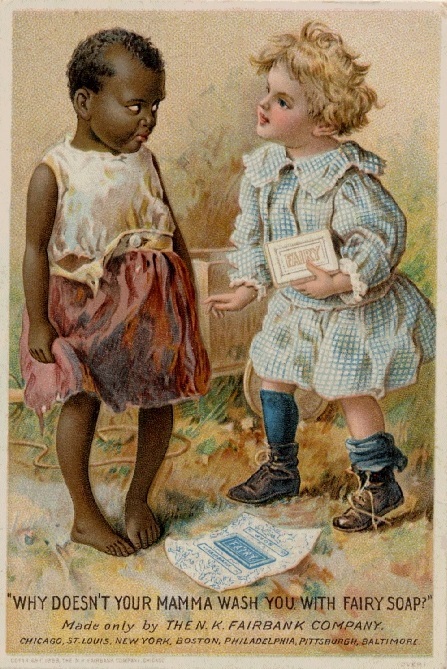 Soap companies used the perceived connection between Americanness and cleanliness to their advantage. Advertisements showed soaps as products of progress, able to wash away foreignness, ignorance, poverty, lawlessness, and general immorality. 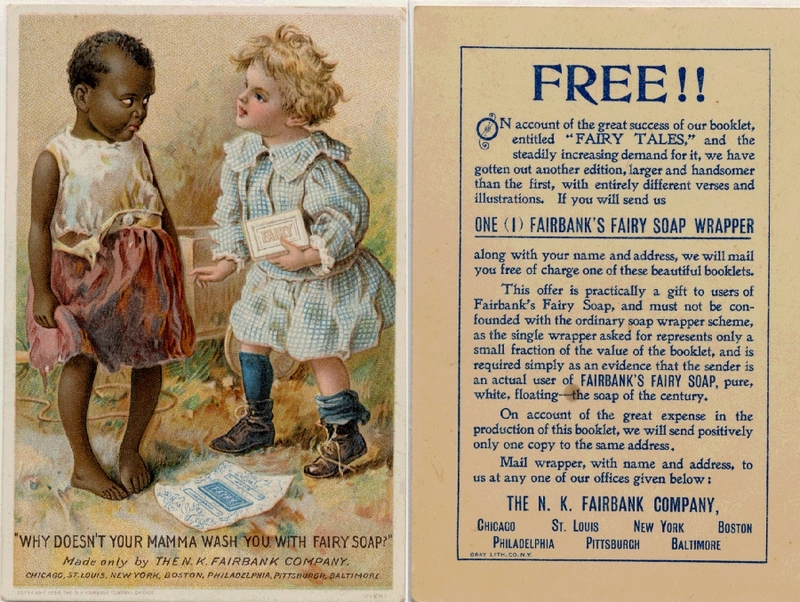 Fairy Soap tradecard, Warshaw Collection of Business Americana, Archives Center, National Museum of American History, Smithsonian Institution Ca. 1883 Ivory Soap advertisement from the booklet "What a Cake of Soap Will Do"
By the 1920s, bathing had become an essential part of a healthy hygiene ritual. Yet, American soap manufacturers faced stiff competition. Not only were soap brands competing against each other, they were also competing against a flood of cosmetics and cosmetic cleansers vying for consumer dollars. 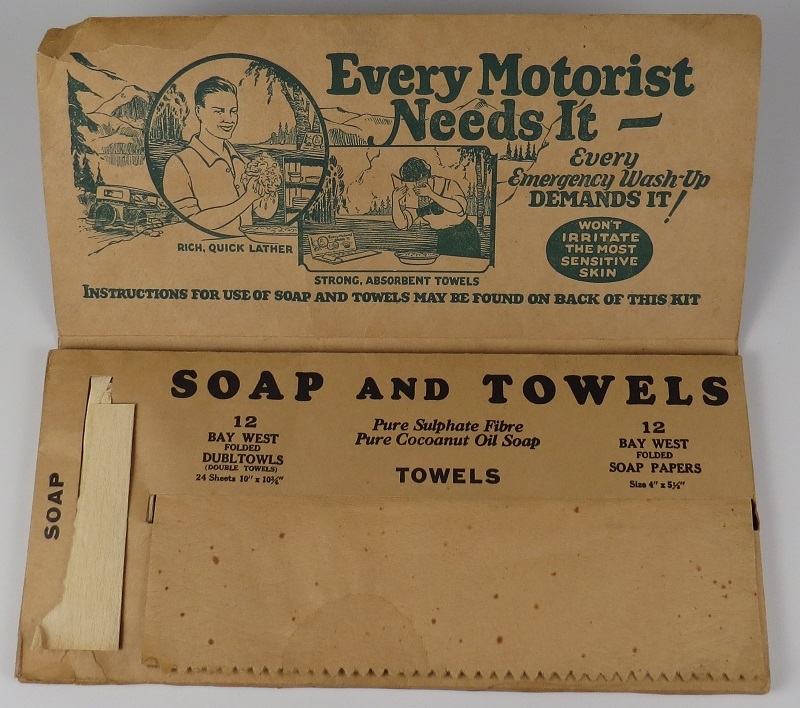 In 1927, a trade association of American soap manufacturers established the Cleanliness Institute to help boost sales. 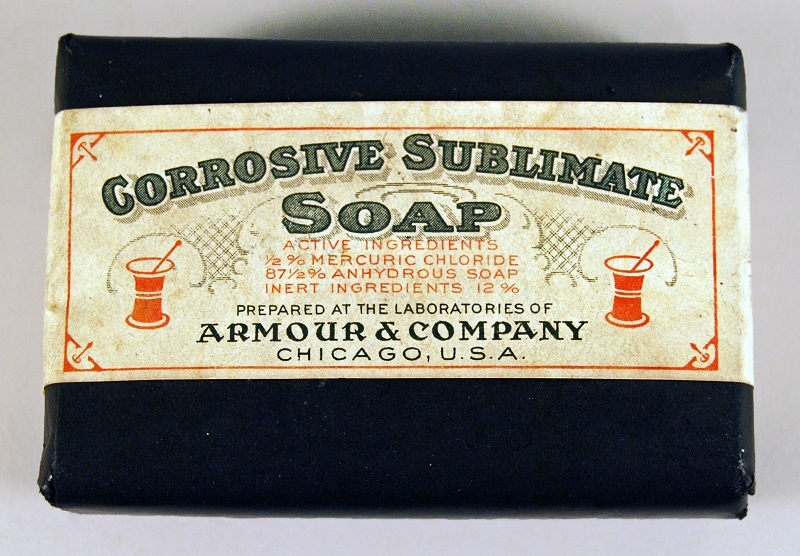 The Institute created promotional materials stressing the connection between bathing with soap and American health. These materials were distributed via radio and magazine advertisements, as “press releases,” and within school curriculums. Bay West Wash-Up Kit Bay West Wash-Up Kit -"Every emergency Wash-up demands it!" To build brand identity, soap advertisements both played on and created social and health fears, all while assuring consumers that their brand offered hope. 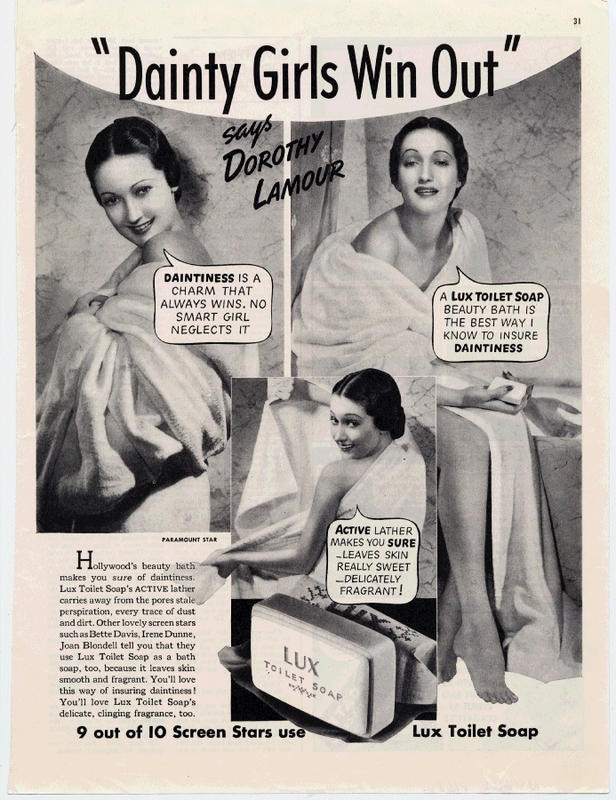 Ivory Soap’s advertising campaigns maintained that the soap is “99 44/100% Pure” and that more doctors advised the use of Ivory than any other soap. Other manufacturers chided consumers by suggesting that failure to use their product would result in a lifetime of loneliness and lost opportunities. Ads for Lifebuoy Deodorant Soap warned female consumers that their B.O. “condition” (body odor) alienated potential mates, friends, and even husbands. Men were warned that the same “condition” could prevent a promotion at work. 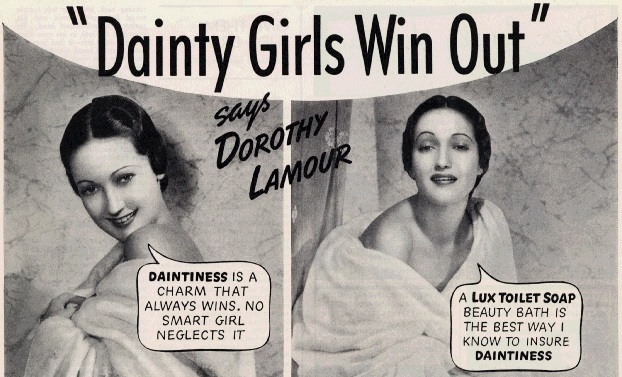 Lux, a scented soap, used celebrity endorsements to admonish women, claiming that they should be “dainty” if they wanted to “win out” in their social and romantic endeavors. Frequent and thorough bathing as part of a good hygiene regimen has become increasingly central to Americans’ understanding of a healthy lifestyle. Katherine Ashenburg points out that nearly one in four American houses built in 2005 had three or more bathrooms. Cleansing products are ubiquitous in the traditional drug store, but are also found in boutique clothing and home decorating stores. In fact, Americans now bathe so frequently that they can cause themselves harm. Antibacterial soaps, such as those containing the compound triclosan, have become so popular that some scientists are concerned that their use might be contributing to antibiotic resistance. Doctors also now warn that skin conditions are frequently caused by the soaps we use to wash our bodies and clothes. Vinikas, Vincent. 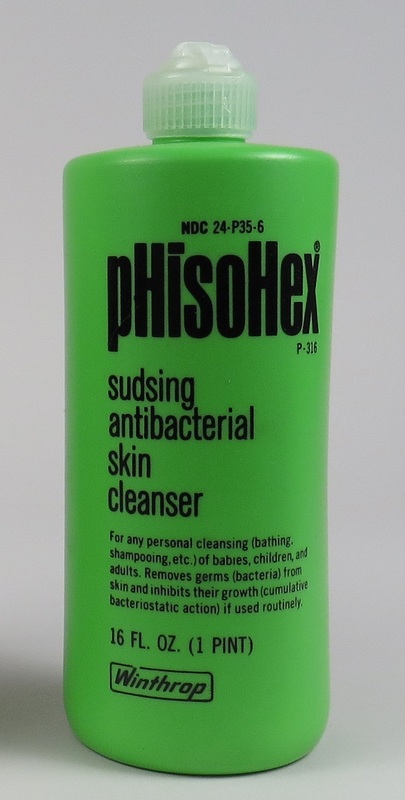 Soft Soap, Hard Sell: American Hygiene in an Age of Advertisement. Ames: Iowa State University Press, 1992.